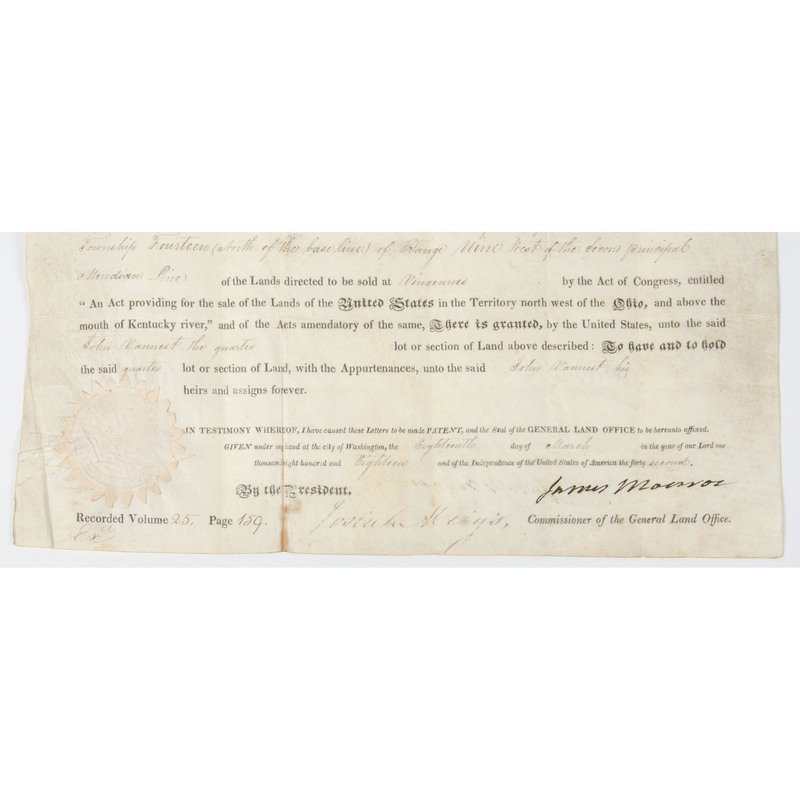 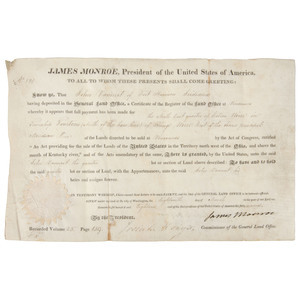 ORIGINAL 1818 LAND GRANT DOCUMENT SIGNED BY PRESIDENT JAMES MONROE AND COMMISSIONER JOSIAH MEIGS. 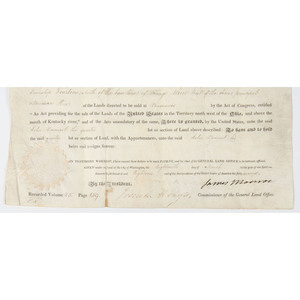 13 BY 8 1/2 inches partially printed document on parchment -- trimmed margins. 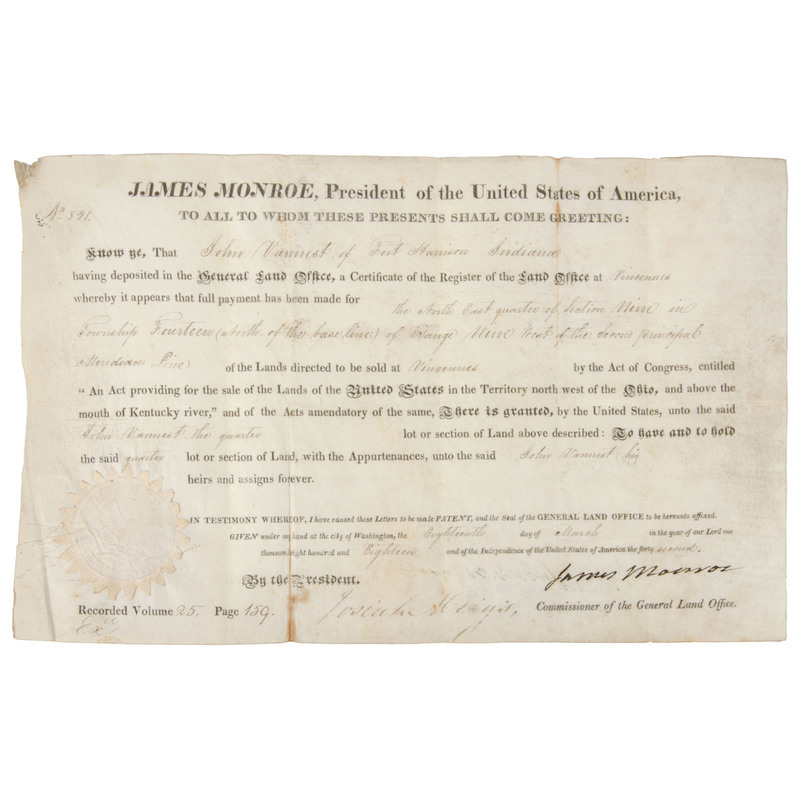 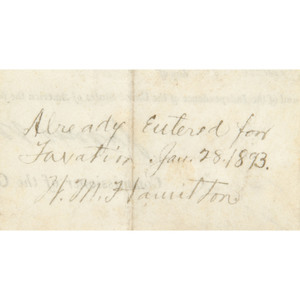 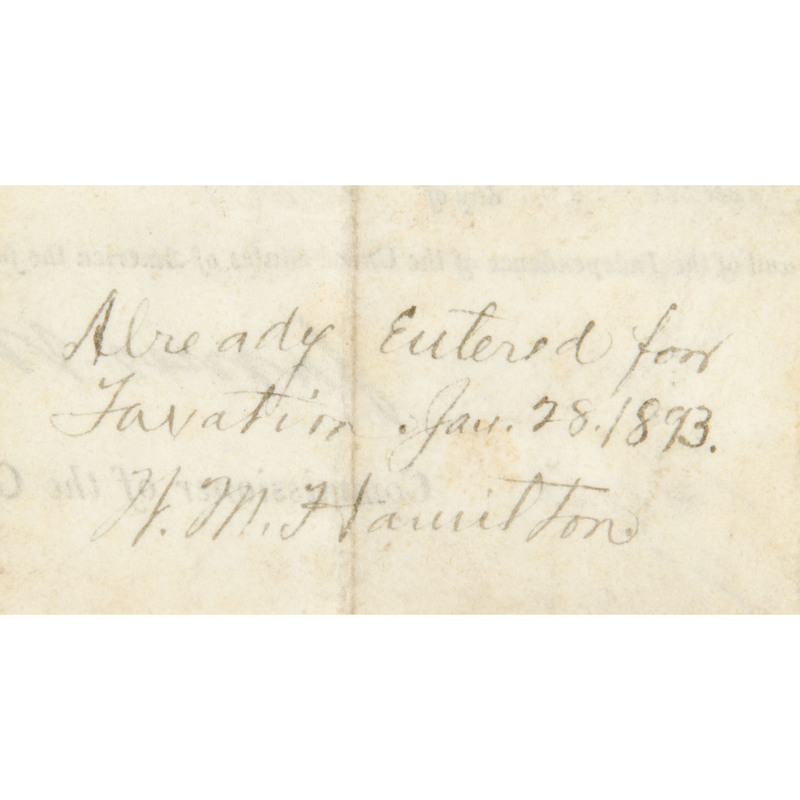 President Monroe signature in strong ink.